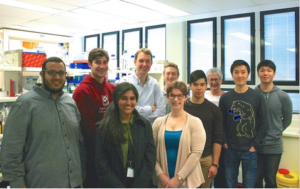 SpinalCure funds medical research that aims to take us closer to a day when a spinal cord injury is no longer a life sentence. You just never know what life will throw at you, but a spinal cord injury is one of the worst, affecting everyone around you. With your help we intend to cure spinal cord injuries. Please support us. Most of us are lucky enough to never think about our spinal cord. We never think about how it helps us stand, walk, move, pass information throughout our body, let us do “normal” activities everyday. Unfortunately, some of us are forced to think about our spinal cord everyday. Those who are in a wheelchair or care for someone in a wheelchair. It only takes one tragic unplanned set of circumstances (a slip down the curb, simple fall, car accident) to result in a broken or damaged spinal cord, meaning that walking, moving and sometimes even breathing can never be achieved without assistance. For over 20 years, SpinalCure has dedicated its resources and funding to finding that cure. Through medical and clinical research we have seen this research starting to pay off. Of all times in history, achieving a cure is now only a matter of time and money. 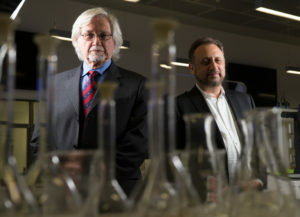 Professor Reggie Edgerton and Professor Bryce Vissel in a lab at UTS, Sydney.